Bhopal : At least 18 persons were killed and 10 others injured in an powerful explosion in a firecracker factory in Balaghat district of Madhya Pradesh on Wednesday, police said. 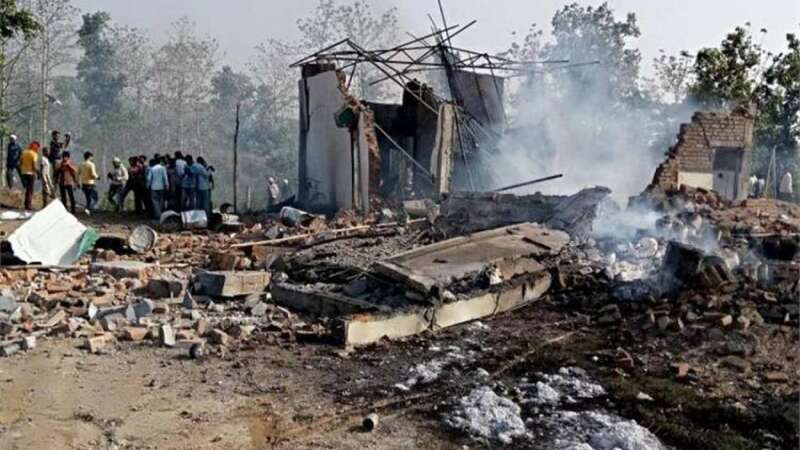 "An explosion in the firecracker factory in Katera village in Kotwali police station jurisdiction around 3.30 p.m. was so powerful that even factory walls collapsed due to the impact," Additional Director General of Police G. Janardan told IANS. According to Janardan, 18 bodies have been recovered from the blast site and relief and rescue operation is underway. "More bodies could be lying under the debris," the ADGP added. The seriously injured have been rushed to hospital. Death toll in fire that broke out at a fire cracker factory in MP's Balaghat rises to 14; 8 injured.